Whilst I've been at University these past three years, I've definitely made the most of affordable, weekday flights. In July I'll be graduating and if I want to jet off and see new cities in Europe, I'll need to organise it so that I'm away Friday to Sunday instead, so that I don't constantly use up my holiday. This got me thinking, what cities have I been to that can be seen in a weekend? What other cities can you go to and have the full experience in two days? I decided to put these questions to some of my travel and lifestyle blogger friends, and together we have come up with an ultimate list of cities in Europe, that you can see in a weekend. 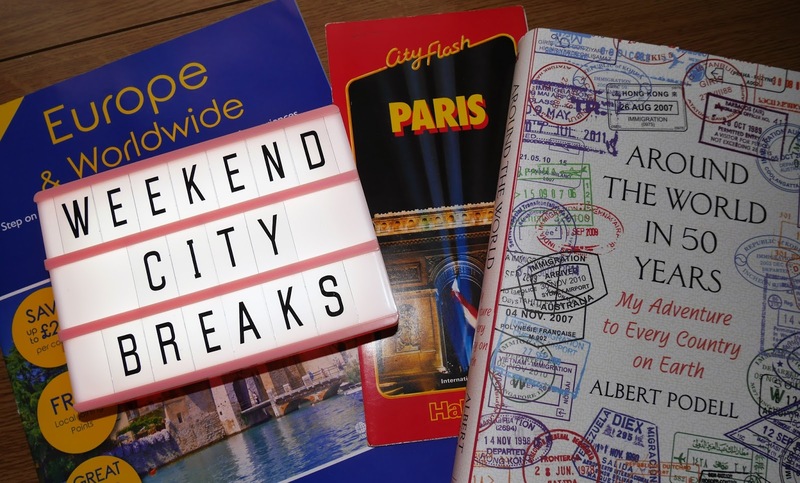 If you're looking to book a new weekend city break, hopefully you'll find this list useful. Amsterdam is such a vibrant and beautiful city, and it’s one of my favourite places to visit for a weekend – ideally longer, like forever, but you can definitely grasp what makes the city special in just a short space of time. People often associate ‘Dam with cannabis and prostitutes, but it’s so much more than that. It’s the beautiful architecture, and that no matter what street you go down, it is just as pretty as the last. It’s the cute cafés and dozens of canals. It’s windmills and tulips and the risk of getting run over by a bike if you step out unaware. It’s Vondelpark in summer when everyone is relaxed, music flows through the air and BBQs are lit. 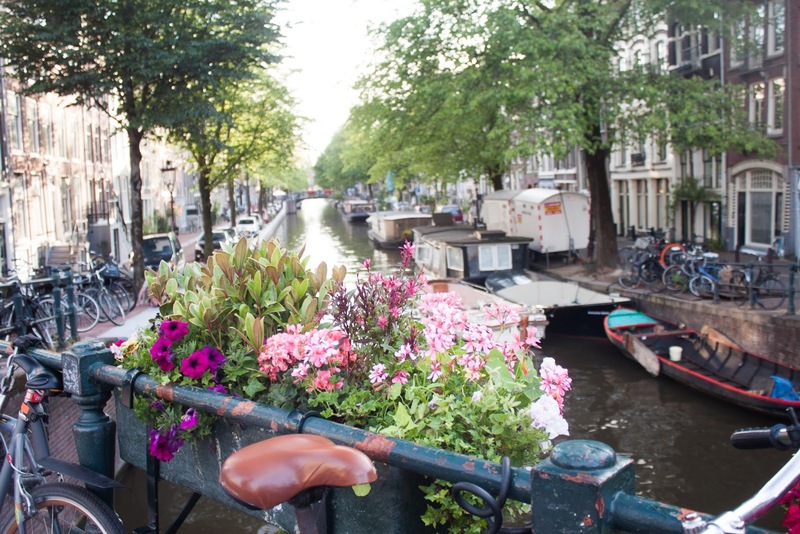 If I were to suggest a couple of absolute must-dos in this city, it would be to take a bike tour (I wholeheartedly recommend Mike’s Bikes Tours), visit Anne Frank House, grab brunch in the Jordaan district and soak up the good vibes of the city. I visited Prague back in 2016 and it’s still one of my favourite holidays to date. You can easily see the main sights in a couple of days, it’s relatively cheap and is full of fun things to do. 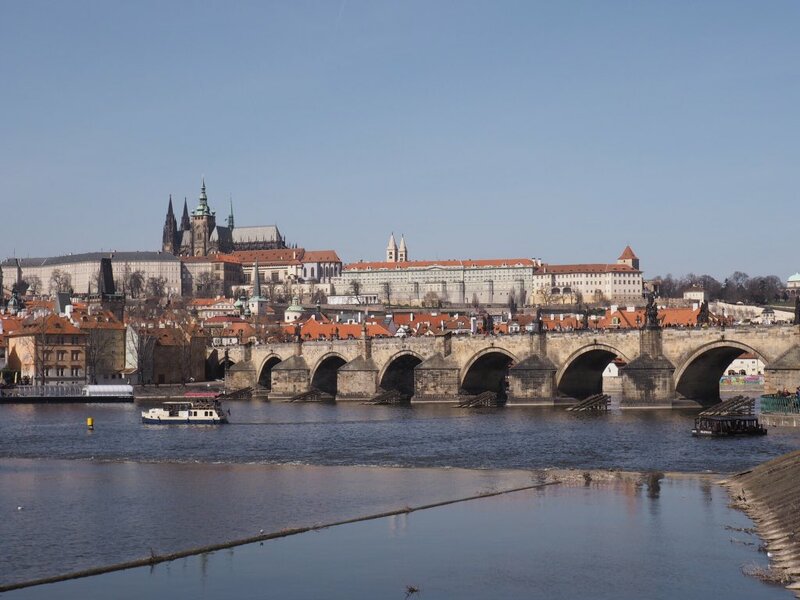 Here are three of my absolute must-do’s on a trip to Prague. I know people love and hate Charles Bridge in equal measure, but I think even if you go when it’s busy it’s still a lovely piece of architecture and totally worth the visit. There are stalls trying to lure you into buying jewellery and have your portrait done, but overall it just makes a nice stroll. Visit in the evening and watch the sunset. This was probably one of the more pricey things we did on our trip but it was so worth it for the views over the city. It was quite a grey day when we went but it was still beautiful, I can only imagine what it's like when the weather’s nice! There’s also a restaurant up the top if you want to dine in style. The BT tower is a little way out of the city centre but you can definitely get a streetcar there to avoid walking aimlessly around. This one’s perfect for bloggers - take a candid outfit shot or two, admire the artwork and follow it up with a trip to the bar (yes I’m cheating, this is two in one). The wall itself it pretty impressive, but you can continue the experience just around the corner at a Beatles-themed bar which is home to a giant Yellow Submarine mural. If my memory serves, there’s also a love-lock gate nearby. I’m not sure how keen on it the locals are, but bring a padlock if you want to keep a record of your love. There are a few other things that are worth a visit; the astronomical clock in Old Town Square being quite a big one I’ve missed, but you can also take pedalos on the lake if the weather’s warm enough or a segway tour of the city - it may be pricey but it’s worth it to see some unknown areas. I spent 5 days in Venice back in 2011 to see the Bienalle yet I feel you could easily do it in a weekend if you plan it right and work out what you want to see the most. The best part abut Venice is it's easily walkable in a day or two but there are also taxis and buses (all on boats, so much fun) that run all the time and are really affordable, especially if you get a day or weekend pass. There's SO much to see and do there without even visiting a single attraction, the shops and stalls are enough to fill your time alone and for the love of God make sure you take a camera to capture it all. 1. Walk - for one day or one afternoon just walk everywhere, nip into side streets, don't bother with a map, stumble upon the squares and streets and take a million photos. It's one of the most photogenic places I have ever been and you can easily fill up an SD card with photos of streets of houses with washing lines hanging above your heads. 3. Take a Gondola down the Grand Canal - Ok so it's massively cliche and massively touristy but it was the number 1 best thing I did when I was there and we saved it for the last day. The feeling I got cruising down the Grand Canal in a traditional gondola was indescribable and one of the best memories I have. It can be expensive and some people can pray on tourists so ask a few people how much their tour will cost and do it with a couple of pals to break the price down. If you love art, fashion, gothic architecture, history and Parisian culture then it is impossible not to fall in love with Paris. When you need a mini break from everyday life, Paris is the perfect place for a little getaway! There is no shortage of things to do in Paris as not only do you have all the obvious sites to visit but there’s also plenty of other things to see and do. 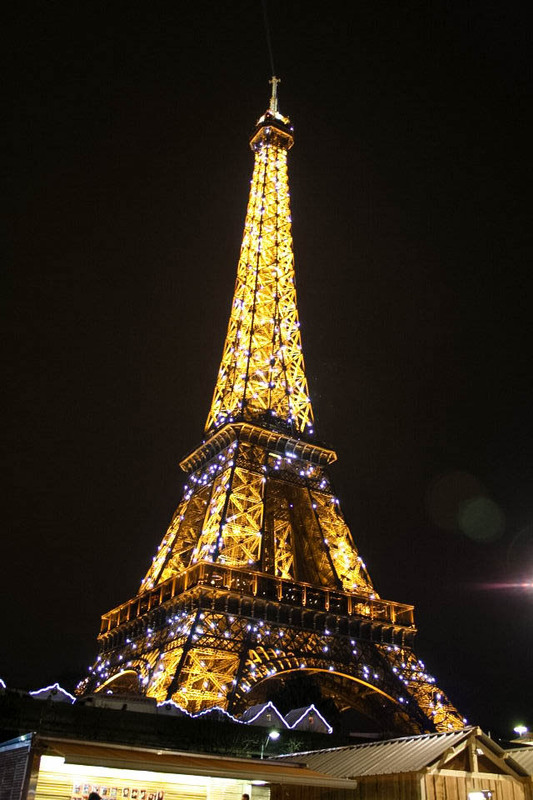 Visiting the Eiffel Tower is a must as not only do you get to enjoy the stunning views of Paris and its surroundings but it also provides the perfect opportunity for selfies and to create beautiful photos for your Instagram feed. Talking of Instagram, Paris has some of the most beautiful architecture which includes the Arc de Triomphe and the Medieval Gothic style architecture of Notre Dame Cathedral. Notre Dame is also the place to go if you appreciate stereotypical Parisian culture and wish to be as chic as Audrey Hepburn or dine out in the style of Gossip Girl’s Blair and Serena. You can take a boat trip down the River Seine which also gives you a guided tour from the water. If you visit the Pont Des Arts Bridge you will see all the famous “Love Locks” padlocks. If you love art and history then be sure to check out the Pompidou, Musee D’Orsay and the Louvre. These are two of Paris’ biggest museums/galleries and contain the work of Van Gough, Impressionist and Renaissance art and one of the most famous paintings of all time; the Mona Lisa! There are also plenty of smaller galleries and museums to check out such as the Henri Cartier Bresson Museum, Maison Européenne de la Photographie and Galerie nationale du Jeu de Paume, to name a few. Rome is a great weekend break, I went for a week but you can see so much in two days! You must see Hadrian’s Mausoleum, it was completely random that I went but was by far the highlight of my trip. At the time I only knew it as ‘that really cool castle’ but since then I’ve learnt about it in my archaeology lectures. I appreciated it more once I learnt that it was built to hold Hadrian’s tomb (an emperor of Rome). The insides are beautifully restored so walking through it, you really get a sense of royalty. Also the view from the top is breathtaking - an uninterrupted panorama of Rome. You’ve got to visit Ostia, it’s a bit out of the way but I can’t recommend it enough. It was an old fishing city that was abandoned when the water dried up. All that’s left are ruins. You hear about the history of Rome but going to Ostia makes it real. You see the shops and houses, how they lived 2000(ish) years ago. It takes a good day to walk around the city but it’s worth every minute (just wear walking shoes). Top tip - If you study a history or an archaeology based subject then you can get free entry to landmarks by showing your student ID. After finding a pair of flights for a price you’d be mad to pass up on, Gdansk became my first taste of Poland. 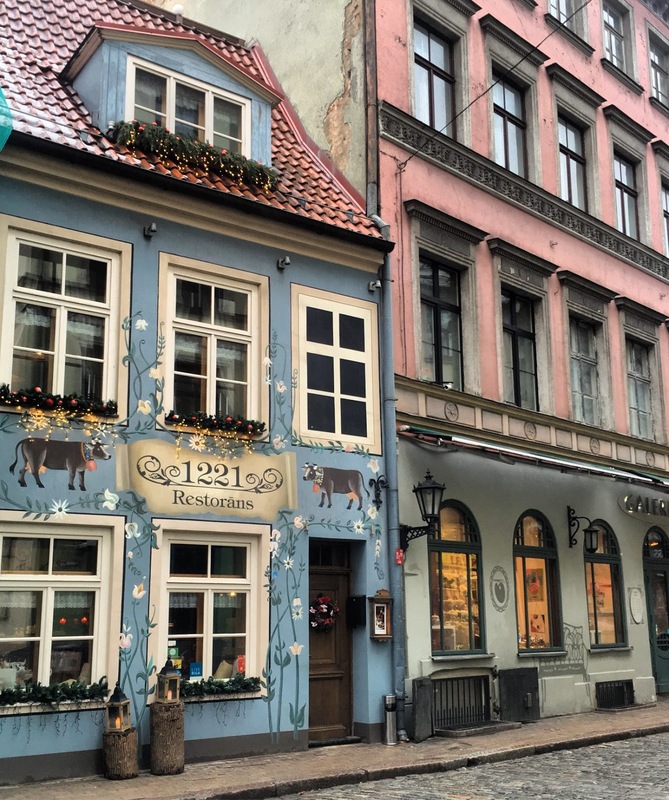 We could only afford the time off for one weekend, so we barely had two days to explore the town, but luckily Gdansk is petite and walkable and found it was the perfect place to escape to for a fleeting European trip. 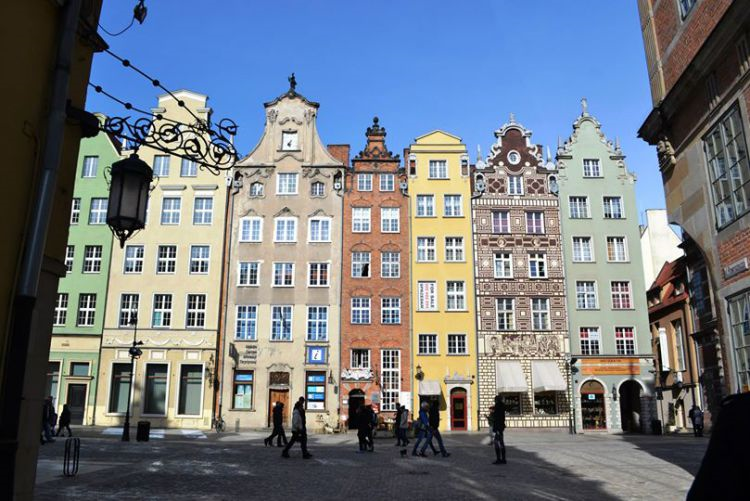 This coastal town makes up the tri-city state area on the North side of the country and most of the sights are contained within Gdansk’s charming old town. You could manage to occupy yourself quite easily by embracing polish cuisine and visiting a number of Gdansk’s cafes and restaurants; Brovarnia Gdansk brews the ‘best beer in Poland’, or so says the sign above the door, so go and discover if there is any truth to that bold statement! Settle down in Pikawa for a mid-day coffee break in a snug café off the main street but just make sure you finish off the evening at Flisak 76 to explore the slighty fuzzy world of Polish wodka’s (the barmen know their stuff, just remember you might need to catch a flight the next day before sampling too many of the weird and wonderful wodka flavours!). In between pubs and coffee shops you should be more that content with getting lost in the cobbled streets of the old town. Stroll down Dluga which is lined with pastel coloured buildings a catch some pictures of Gdansk architecture; the Green Gate in the East and the Prison Tower in the West and Ratusz in the middle, Gdansks unique red brick town hall. Culture Vultures will need to set aside a least a few hours at the Solidarnosc museum; a sprawling modern exhibit dedicated to the area’s history surrounding the trade union movement that was a major turning point in the country’s past. Not one to miss! If you still find yourself with some time to spare before the weekend is up, a short train ride will take you to Sopot which boasts a clean stretch of beach along the Baltic coastline. Seville is probably one of my favourite cities in Spain. We flew out there for a friend's wedding and I'm already planning another trip back! Not only home to the largest Gothic cathedral in the world, which also happens to be the final resting place of Christopher Columbus, It's also home to some slightly more far, far away places... You may recognise the Plaza de Espana as the City of Theed in Star Wars Episode I and II. The Alcazar (Royal Palace) was used in Game of Thrones as the Water Gardens in Dorne. It should definitely be on your city break bucket list! If Riga isn't the first city to spring to mind when someone mentions a quick weekend getaway, I don't blame you. It certainly wasn't mine! Then cheap £50 Wizzair flights happened and now here I am, Riga's number one fan. The tourist-oriented part of the city is so tiny that a day or two is all you really need to cover the basics. 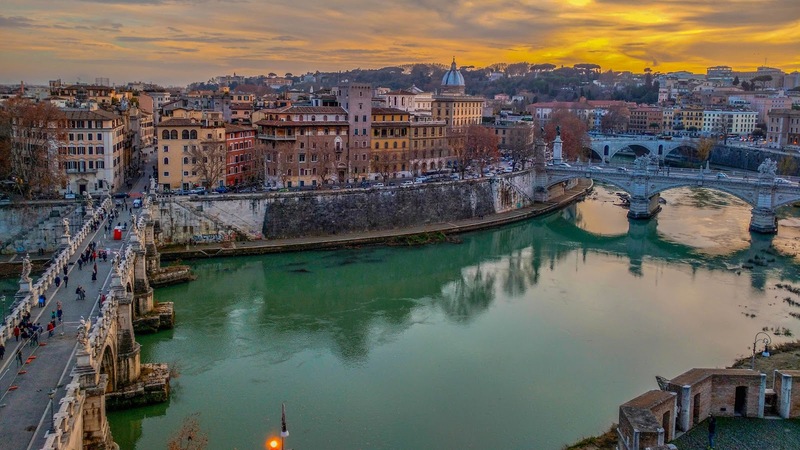 A walk up the tower of St Peter's Church is a definite must, and the views across the city are more than worth the €9 entry! Riga is actually the perfect destination whatever time of year. During winter there's no better way to get into the Christmas spirit than with a mooch around the Christmas markets, listening to Latvian festive carols, drinking Gluhwein and eating strange chunks of pork that look like tree bark. In the summer you could take a trip out to one of the nearby national parks for a bit of hiking or outdoor adventure. Riga Old Town has a unique kind of charm, in that it captivates you within seconds! The cobbled streets, the quaint little pubs and restaurants, and the unbelievable kindness of the local people - it's enough to make anyone fall in love. A little out of the city centre but easily accessibly by Metro, the East Side Gallery is a street art gallery showcasing painted murals on some of the remaining parts of the Berlin wall. It's something that isn't as widely advertised as say, Checkpoint Charlie, but equally worth a visit, especially as you are able to walk up close to some of the remaining parts of the wall. This one is for the chocoholics! My sister recommended this place to me and it did not disappoint. 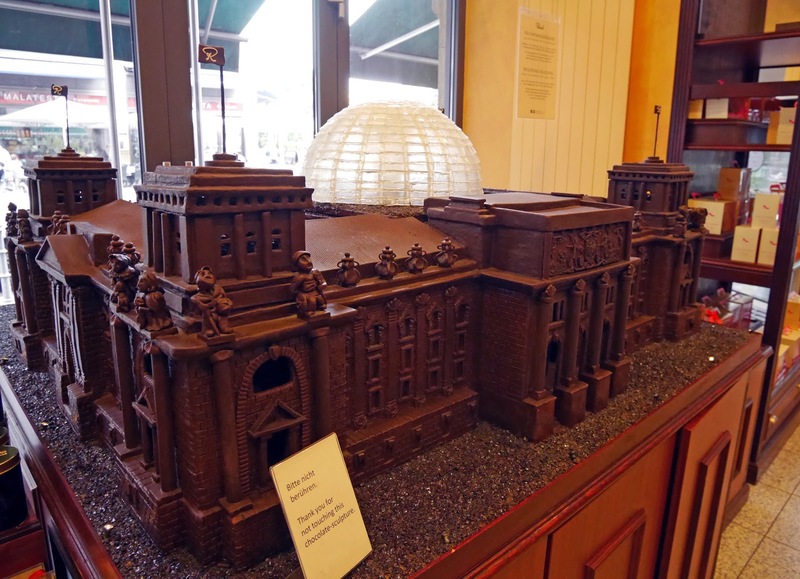 The store itself is piled high with boxes of fancy chocolate, but if you head upstairs in the lift to the cafe, you'll get to try all kinds of delicious chocolate desserts. It's probably my favourite spot in Berlin and it's so conveniently located, only a short walk from Friedrichstrasse. You have to book this far in advance, but going on a tour of the German parliamentary building is fascinating! Your tour leader will be a German academic who has an incredible amount of parliamentary knowledge and you'll be taken around lots of the significant parts of the building. The best part is when you're allowed to walk up the Reichstag dome at the end of the tour and look out all over the city. The view is absolutely breathtaking! The entire tour is free so make sure you book a slot a few months before your trip and see what it's like. A huge thank you to all of the bloggers who contributed to this post. There are so many amazing places in Europe only a short distance away, that would be perfect for your next weekend abroad. I love Prague and Paris but this post just reminded me of how many great cities I'm yet to visit! 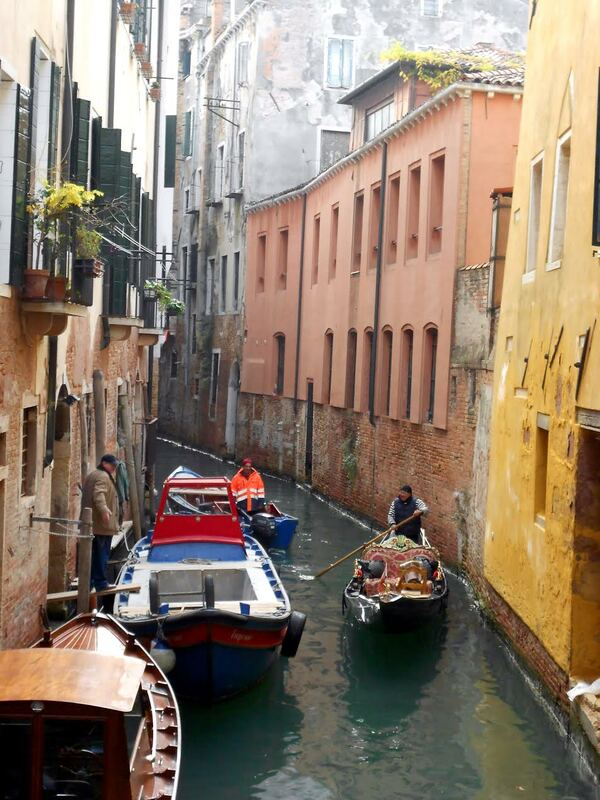 Venice is high on my list, as is Riga!